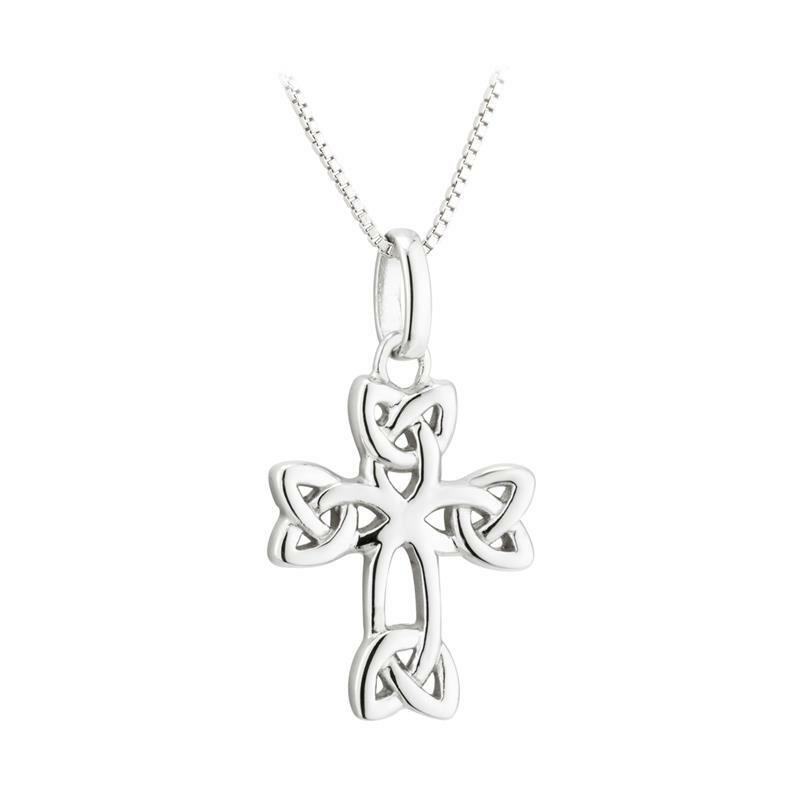 The Trinity Knot Cross Pendant is beautifully crafted in sterling silver and made in Dublin, Ireland. It also contains the Irish Hallmark by the Assay Office in Dublin Castle. 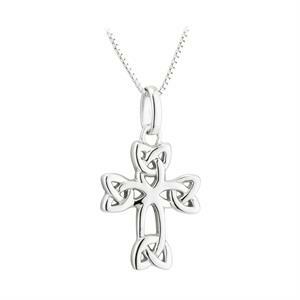 Comes beautifully boxed with a 18" Sterling Silver Chain. The cross measures .75".